To provide Personal Lines sales and support in maintaining, expanding, and service accounts. Candidate must be able to provide excellent client service to new and existing customers with a focus on client satisfaction, retention and growth of new and existing accounts. 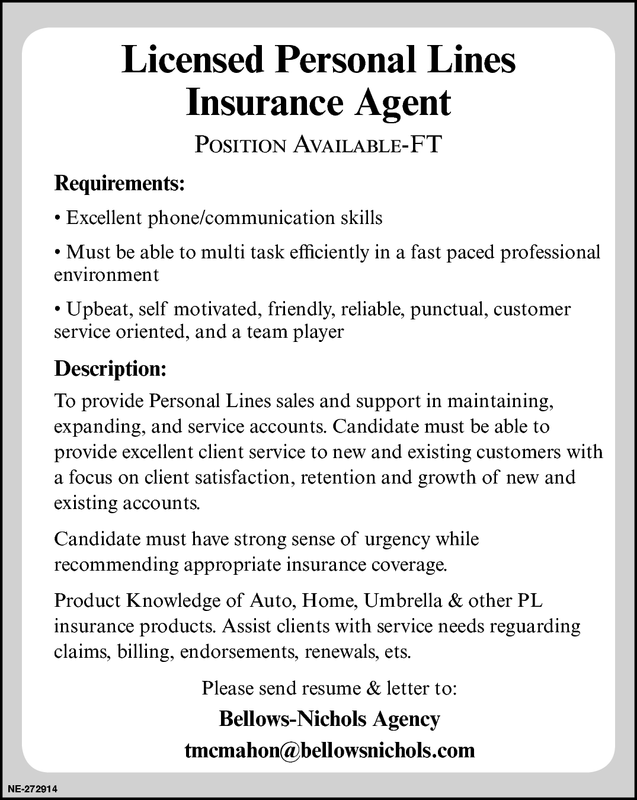 Candidate must have strong sense of urgency while recommending appropriate insurance coverage. Product Knowledge of Auto, Home, Umbrella & other PL insurance products. Assist clients with service needs regarding claims, billing, endorsements, renewals, etc.